Beigel Bake in London’s East End is a bakery that has built up a loyal band of customers since its doors first opened in 1974. They come regularly from all corners of London seeking a taste of beigels baked in a traditional Jewish style, with fillings such as hot salt beef, cream cheese with smoked salmon and chopped herring. In a world of pop-ups and fast-changing fads, Beigel Bake’s long-standing presence has become part of it’s popular appeal. As part of London photographic collective LDNtwentyfour7, I took a portrait each hour of the day in and around this establishment. 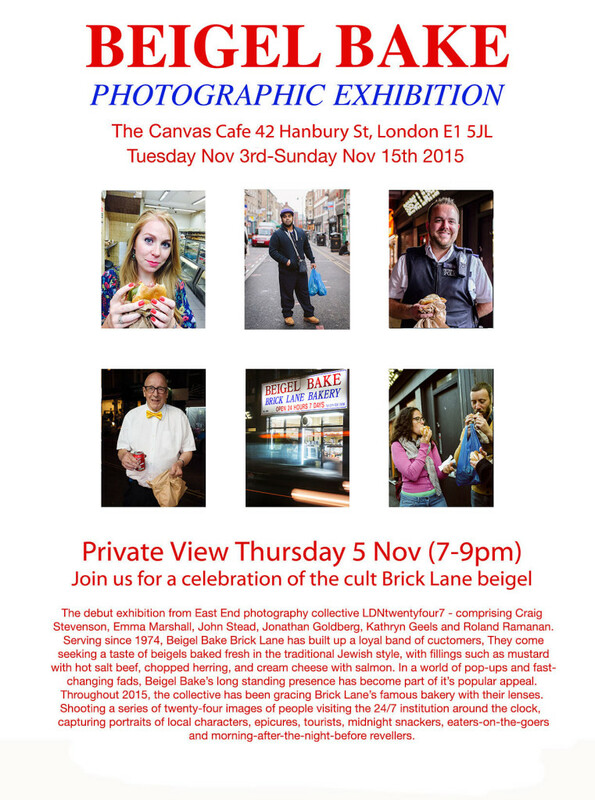 Our collective currently boasts 6 members, all of whom submitted 24 pictures to be shown in Canvas, a Brick Lane gallery and cafe. We captured portraits of local characters, epicures, midnight snackers, eaters-on-the-goers and morning after-the-night-before revellers. On a personal note I was able to try out my new camera purchase, a Hasselblad 6×6. It’s a format that I’ve always admired when seeing pictures on gallery walls etc. It’s not just the square aspect, but the fact that the photographer is looking down rather than straight at the subject that adds to this camera’s allure.